" Residency at Door Step"
All medical colleges students are invited to attend this session. 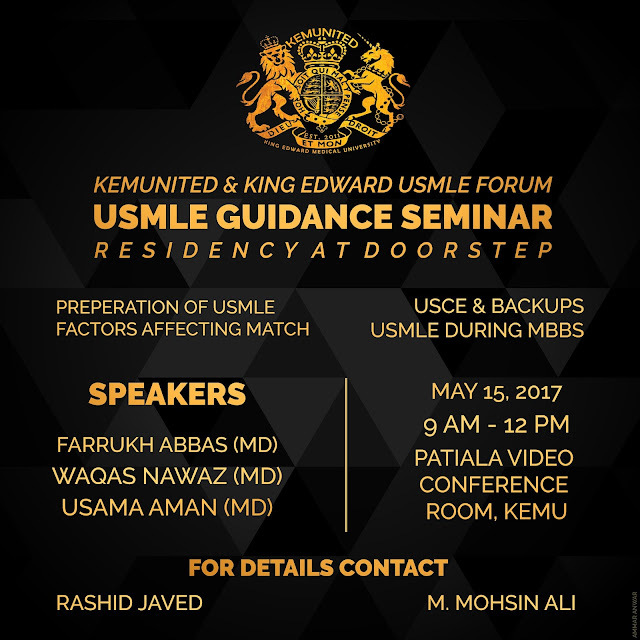 Please review all videos on you tube related to USMLe by King edward Forum. This will be 2 hr session in which 1 hr will be given to speakers and 1 hr to audience for questions. Looking forward to see you all on May 15th. Please spread this new to all medical colleges forum so that maximum people can be benefitted.